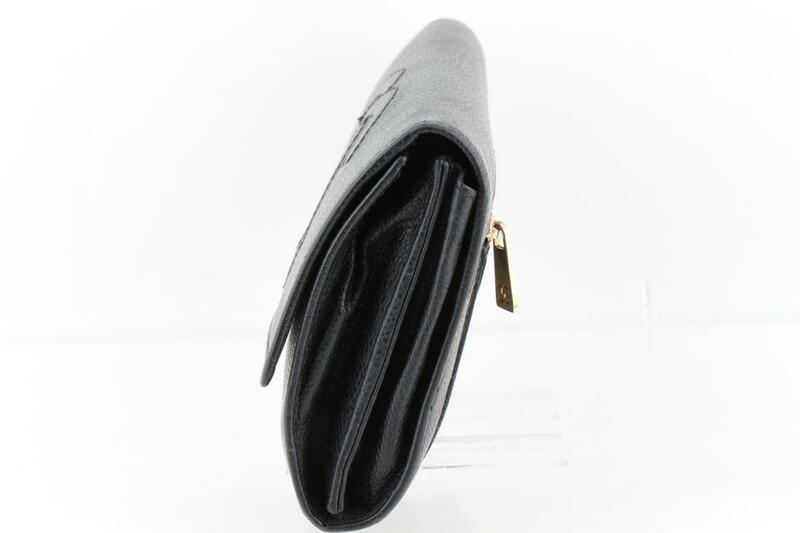 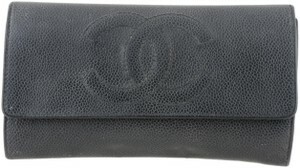 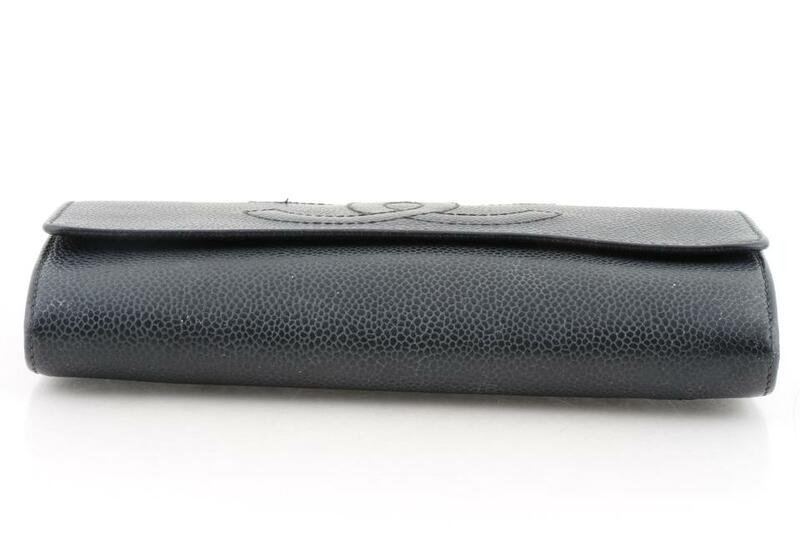 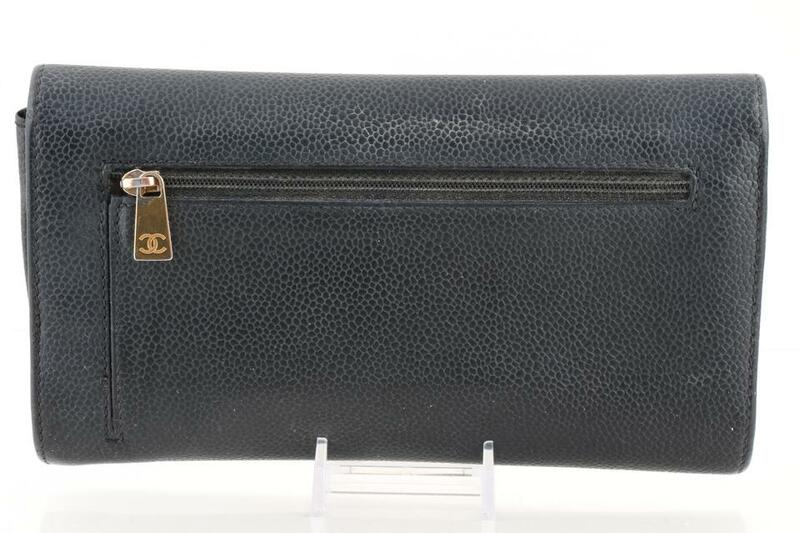 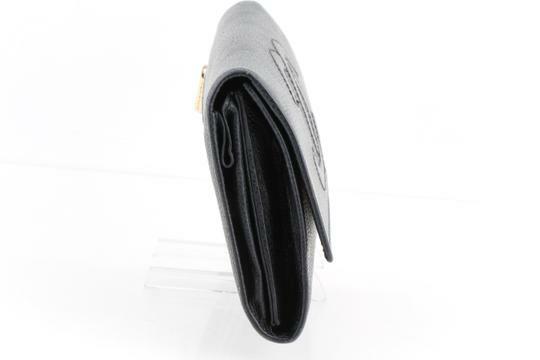 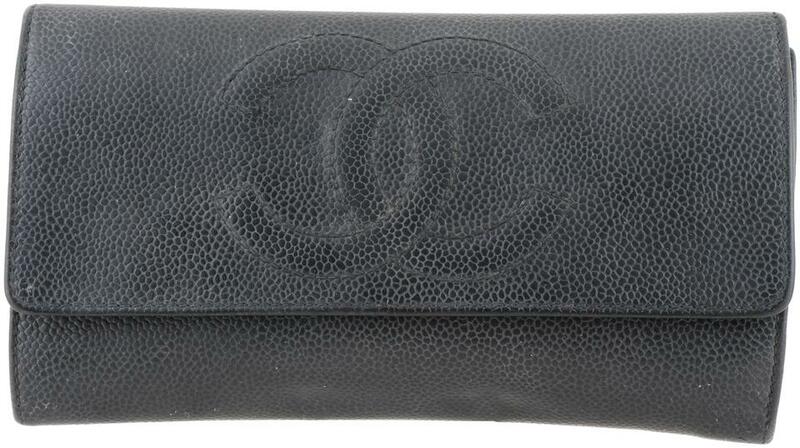 This Chanel wallet features a rectangular shape, a raised front logo, and a snap front closure. 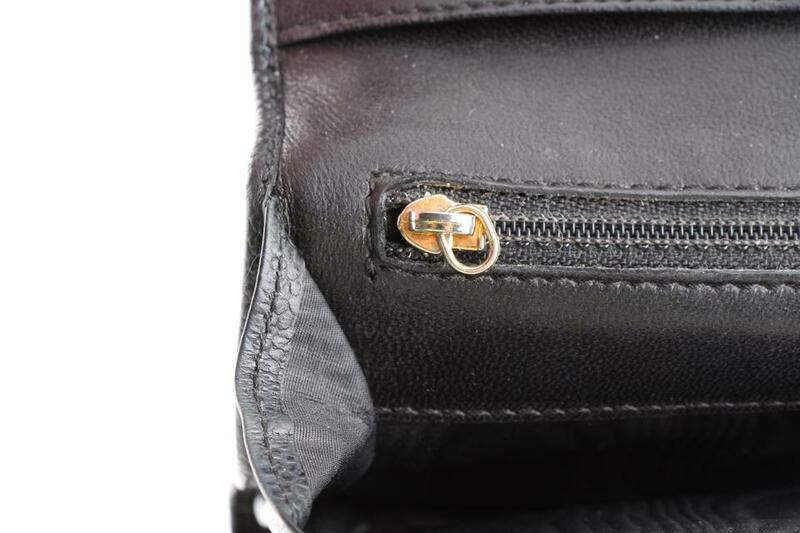 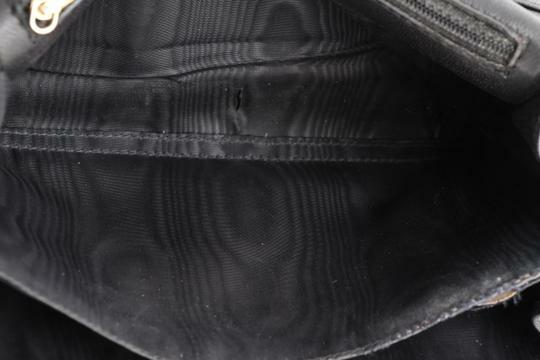 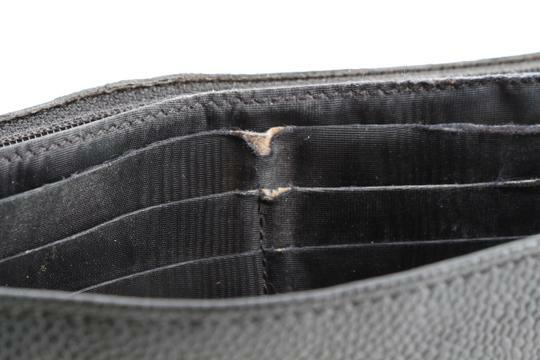 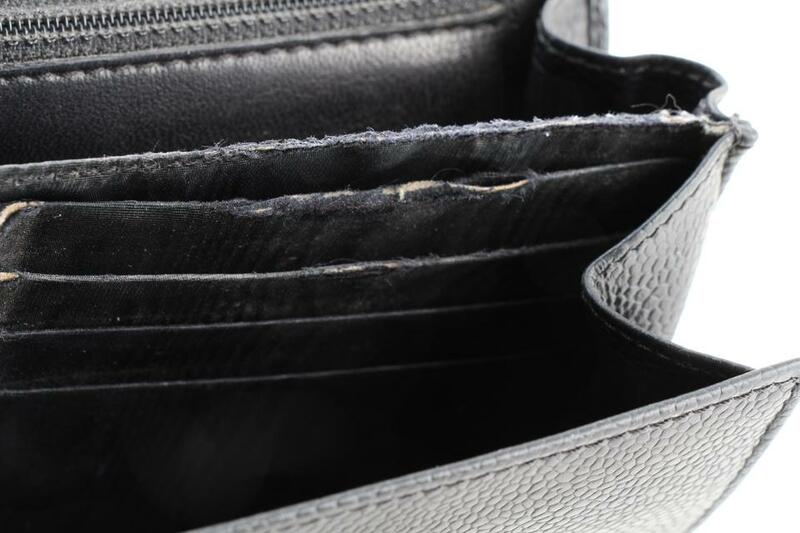 It shows scuffing to the exterior back of the wallet. 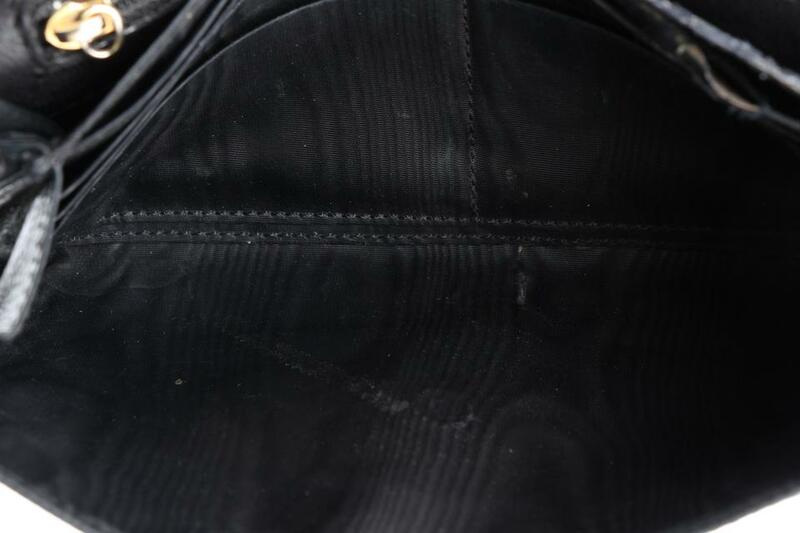 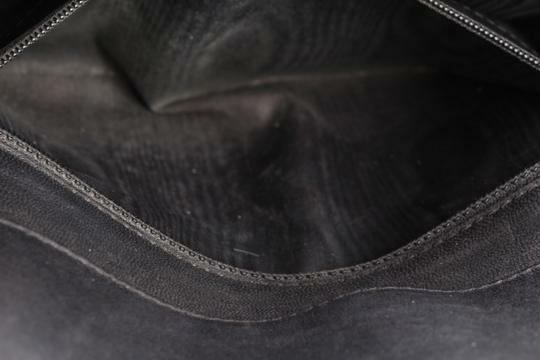 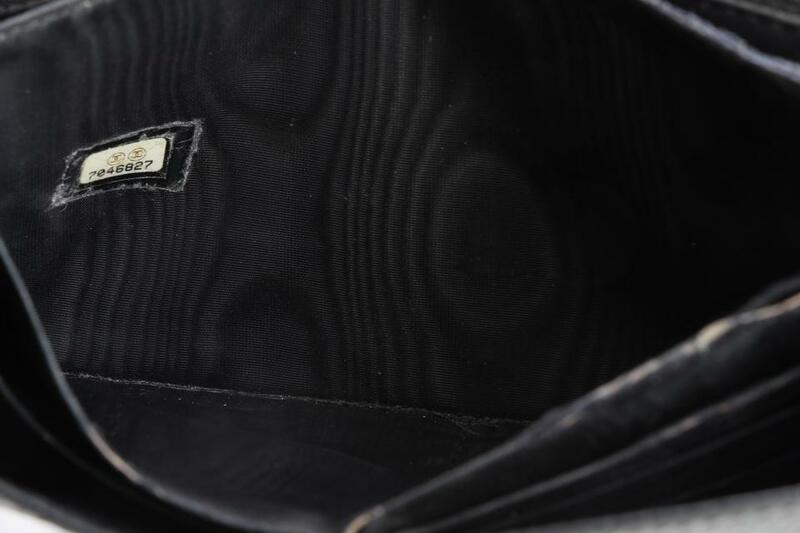 The interior shows scuffing to the underside of the flap and wear and scuffing to the interior. 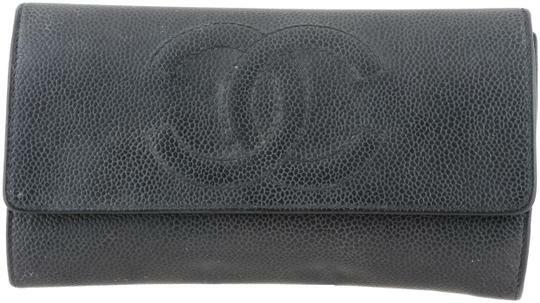 Does not include dust bag/box.